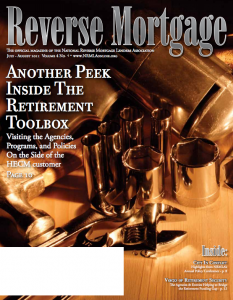 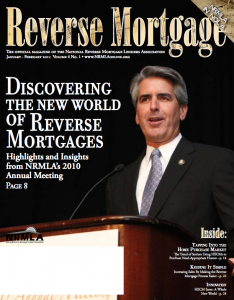 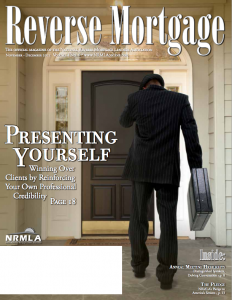 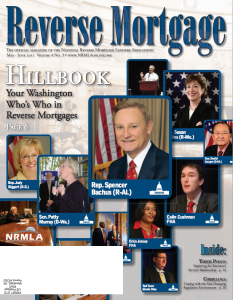 Download current and back issues of Reverse Mortgage magazine to get the latest news and insights from industry professionals. 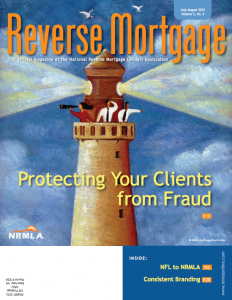 Featuring: Protecting Your Clients from Fraud; A Brief History of the HECM; Building Effective Brand Communications; Loans By Phones. 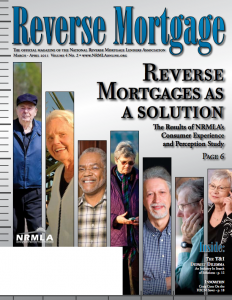 Featuring: A Landmark Decision for Reverse Mortgage Lenders; ARMs vs. HELOCs; Market Trends: Rough First Quarter, But Better Days Ahead; Builders Are Your New Best Friends. 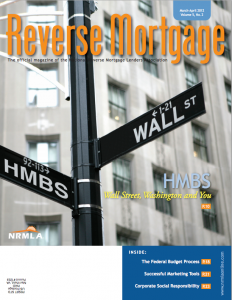 Featuring: Financial Ingenuity: The Creation of HMBS and a Secondary Market; Successful Marketing Tools: Testimonials, Internet, Call Centers; The President’s Budget is Just the Beginning. 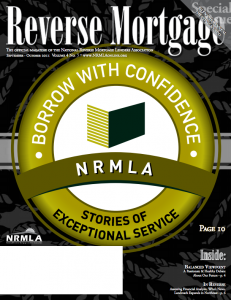 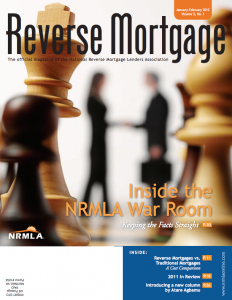 Featuring: Inside the NRMLA War Room; Reverse Mortgages vs. 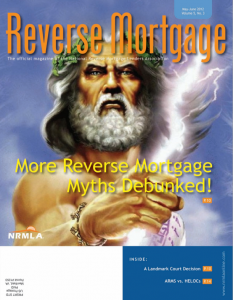 Traditional Mortgages—A Cost Comparison; 2011 in Review; Insights from a Mortgage Trader.